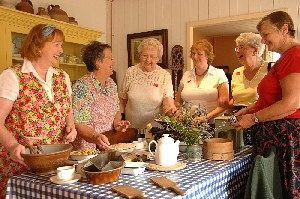 At Gressenhall Farm & Workhouse, enjoy a fascinating journey through the story of rural Norfolk. With a thrilling woodland adventure playground, a historic workhouse, traditional farm and many indoor displays, Gressenhall is the perfect setting for the perfect day out...whatever the weather...! 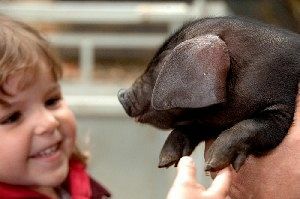 Hens run loose in the farmyard, horses work in the fields and there are piglets galore. And it's a real working farm where each season shows a different face of farm life. See a lost rural Norfolk brought to life from the farm labourer to the lord of the manor. Explore acres of fields and woodland around the farm. Step into atmospheric shops and homes from the past. Walk through a loving recreation of a vegetable patch and cottage garden or pay a nostalgic visit to a 1950s parlour. Enter the world of the Victorian Workhouse, its people and their stories. Find out how families were split up, the drudgery of daily life and the punishments endured for minor misdemeanours. Free audio guides and costumed re-enactors bring to life this dark, forgotten history. Browse around the Collections Gallery and discover a treasure trove of delightful household objects, fascinating tools and mind boggling paraphernalia from times gone by. Collect animal stamps on the farm trail and go riverdipping for mini-beasts. Our fantastic woodland playground is a world of treehouses, walkways and adventure - unmissable! 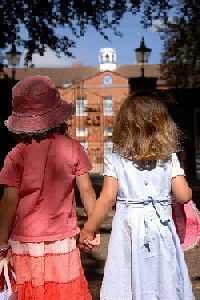 Gressenhall is great for kids every day but even better in the school holidays when there are FREE family activities. Wander down the river or through the peaceful woodland. 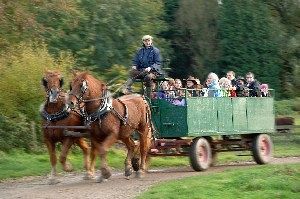 Take a cart ride across the fields, discover the country trails, enchanting gardens and the historic orchard set in a timeless and unspoilt landscape. Gressenhall is in the centre of Norfolk, 3 miles northwest of Dereham on the B1146. It is 30 minutes drive from Norwich, Cromer and King's Lynn and 40 minutes from the heart of the Norfolk Broads. There are brown tourist signs to follow from the A47 or from Dereham town centre. Free parking on site. There is a bus stop right outside the museum. Phone 01362 851210 for times and route details for connections from Norwich and Dereham. Norfolk is (fairly) flat and perfect for getting around by bike. There are lots of quiet lanes in the area around the museum. National Cycle Route 1 passes the museum about five miles away, while National Cycle Route 13 passes only half a mile away.